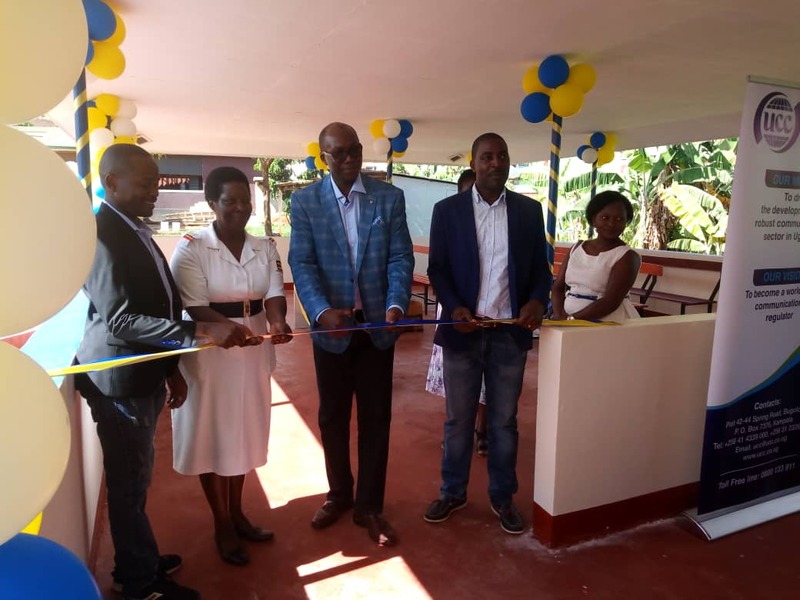 BUGOLOBI – Uganda Communications Commissions (UCC) on Friday, December 14 handed over a 400-seater semi-permanent waiting area for patients at Kiswa Health Center III in Bugolobi. This was the last event to culminate year-long activities and to benchmark two decades of streamlining the communications sector in the country. 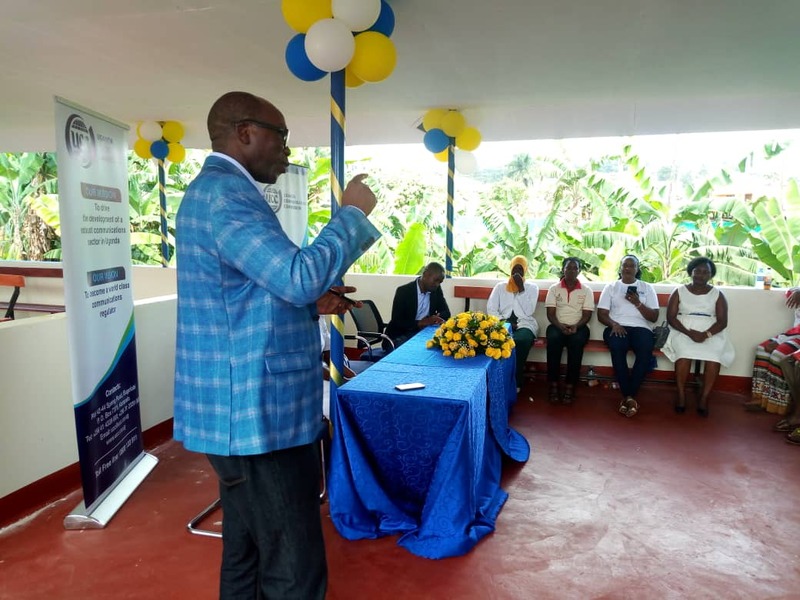 Handing over the facility, Mr Fred Otunu, the UCC director for corporate affairs who also represented Eng Godfrey Mutabazi, the Commission executive director said Kiswa health centre didn’t have a designated waiting area for patients. “In terrible weather conditions, the patients would be subjected to hot sunshine, rain and others,” Mr Otunu said adding that the commission has now touched base with the community and that people are going to benefit from the contribution. “UCC is situated in Bugolobi-Kiswa area and this is our neighbourhood. A cooperate citizen in the area, we felt it would be good to touch base to the community,” he said. He, however, tasked the administration including KCCA to look after the donated building saying it will be very disheartening finding it in a sorry state few months after it has been commissioned. Mr Otunu also reiterated the commission’s commitment to identifying with the vulnerable communities in the country giving an example of year long0-activities including health, educations and environment. 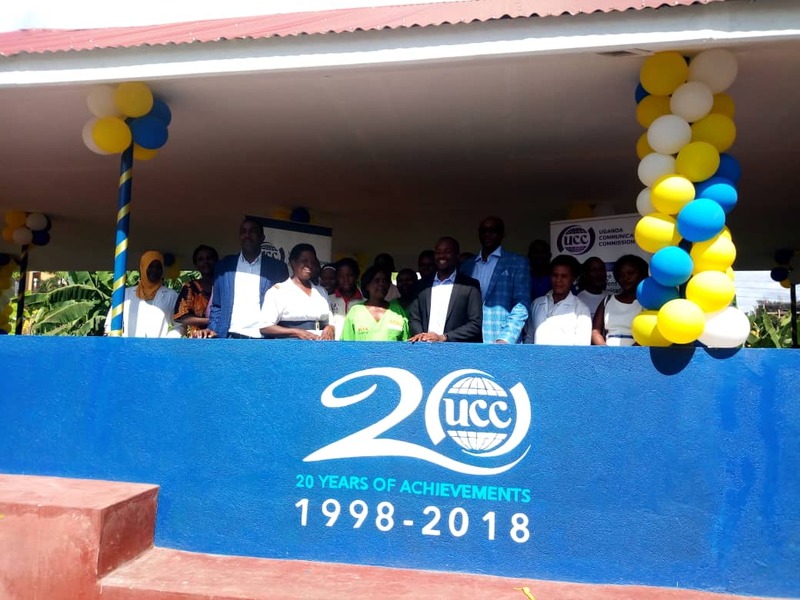 Sister Florence Nyende one of the administrators at Kiswa health centre lauded UCC for the cordial relationship with the community. “It is a very good venture and it is going to benefit the whole health centre and the entire community,” she said. She said facility faces a shortage in accommodation calling on other partners to give it a hand. “It [new shade] is going to help that come here because, when they come, that building has been too small. So now with this one, they will be serviced and they will be going away earlier,” she explained. She also revealed that services are now going to be integrated and that some patients will be seen in the new section donated by UCC.